All food is not created equal! Appearance matters when it comes to selecting the most nutritious foods at the super market. Use the following tips to select and prepare your veggies. The Globe or French artichoke is the most common variety as well as one of the most nutritious. Artichokes are one of the highest antioxidant valued vegetables in the supermarket. You would have to eat 18 servings of corn or 30 servings of carrots to get the same benefits. Due to their high respiration rate, it is important to buy the freshest artichokes you can find as both their flavor and health benefits decline with each passing day. If you must store them, place them in the crisper drawer as soon as you get home and eat them within 1 or 2 days. It’s not often that the inside of a vegetable is as nutritious as the outside but recent research has shown hat the artichoke heart is as nutritious as the leaves. Steaming artichokes retains more nutrients than all other cooking methods. Canned or jarred artichoke hearts are nutritious as well. When selecting asparagus, choose the bunch with the straightest spears. When asparagus is stored in a dark warehouse for a week or more, the spears length and bend upward in search of light giving them a contorted appearance. Additionally, if tips are starting to separate, have a yellowish cast, or mushy consistency these asparagus have been stored far too long. Once you select healthy looking spears, flip the bunch over; the cut end of the stalk should be smooth and moist. Green asparagus has 7x more antioxidant than the colorless white variety. Asparagus has a high respiration rate, similar to broccoli or artichokes. It loses much of its flavor and nutritional value within a day or two of harvest. Cooked asparagus is more nutritious for you than raw. If you steam asparagus it will increase the antioxidant value by 30%. For storing asparagus for more than a day, it is best to place the bunch in a microperforated bag and keep them in the crisper drawer. Beets are more nutritious after you steam, microwave or roast them. If you cook them with the skin on and remove after they will retain more nutrients. The skin acts to keep water-soluble nutrients inside the beets. Beet greens are more nutritious than the beets themselves, add them to salad or in a green smoothie. To increase nutrient absorption use Extra Virgin Olive Oil as part of your cooking of vegetables or as a dressing for salads will increase the absorption of fat-soluble vitamins. Whole heads of broccoli are more nutritious than the pretrimmed florets. Sectioning broccoli into florets doubles its respiration rate, using up much of its antioxidant reserve in response to the “injury” of being cut into pieces. This leaves little for you, so buy whole head and trim them yourself before cooking. Eating broccoli raw will give you 20x more of the compound called sulforaphane than cooked broccoli. Sulforaphane has been shown to reduce inflammation, slow again and fight cancer. Frozen broccoli is convenient but is less nutritious. Cooking broccoli in boiling water will cause half the nutrients to leach out into the water. Microwaving isn’t a good idea either as you can destroy have the nutrients in two minutes. The best cooking method to retain the most nutrients for broccoli is to steam it for about 4 minutes. Or sauté them in extra virgin olive oil, this way they don’t lose any water-soluble nutrients because they are in contact with oil, not water. If you keep broccoli for more than a day, place it is a resealable plastic bag, prick 10-20 small holes and then store in the crisper drawer for the best retention of nutrients and flavor. When selecting Brussels Sprouts, look for bright green, tight heads. Browning shows their age and reduced nutrient value. Brussels Sprouts respire rapidly so treat them as you would Broccoli. Purchase them as needed. Use them when you get them or store in the refrigerator for the next day. Frozen Brussels Sprouts have been shown to only contain 20% of the beneficial compounds of fresh Brussels Sprouts. The best cooking method for the preservation of nutrients is to steam them for 6-8 minutes. Brussels Sprouts become less sweet and more bitter the longer they cook. Cabbage is lower in antioxidant than other crucifers, however still nutritious. The deeper the color the more nutritious. Cabbage does not respire quickly and as such can be stored in the refrigerator for a week or two without losing many of its nutrients. The longer the storage, the more compromise comes in flavor. In only a few days of refrigeration, 30% of its sugar will be gone along with the freshest flavor. Prepare cabbage by cutting it and steaming it briefly to reduce odor and increase nutrient yield. Deeper colored carrots are more nutritious than fairer varieties. Purple carrots have more antioxidant activity and potentially more health promoting benefits than the beta-carotene in orange carrots. For the freshest, most nutritious and flavorful carrots, select those with their green tops still attached. Before refrigerating, cut the tops off to preserve the moisture in the carrot. Be weary, of purchasing carrots without the top as they are often several months old which will give them less flavor and nutritional content overall. Baby carrots, while convenient, are just larger misshapen carrots that have their outer-skin whittled away. Like potatoes or Apples, the skin or outermost part of the vegetable or fruit is the most nutritious because it has to pump up the phytonutrient and antioxidant content in that regions to defend against UV rays, mold, insects, fungus and disease. When the outer most part of a carrot is whittled away, 1/3 of its phytonutrients go along with it. Cooking carrots whole, then chopping them before plating will allow the carrots to hold onto more nutrients than if you chopped them beforehand. Colorful varieties are higher in antioxidants than less colorful varieties. Purple cauliflower has been shown to have 2.5x more antioxidants, and Romanesca cauliflower has as much as 4x glucosinolates — the beneficial sulfur-containing compound that gives cruciferous vegetables their bitter taste and high nutrient density — than the standard white variety. However, white cauliflower has more cancer fighting compounds than either green or purple. Frozen cauliflower, like most frozen vegetables has fewer nutrients than fresh varieties. The processing and freezing of cauliflower can destroy up to 40% of their phytonutrients. Prepare cauliflower as you would broccoli, by steaming for 4 minutes or sautéing with a quality extra virgin olive oil. Go for organic corn as it will have 50% more phytonutrients than conventionally raised corn. Choose colorful varieties if possible; look for deep yellow, red, blue, black or purple as they are higher in phytonutrients than pale yellow or white corn. The same goes when searching for cornmeal. Frozen corn has the same nutritional content as fresh yellow corn. It is better to steam frozen corn without thawing to retain more nutritional value. Steam, grill or microwave corn but don’t boil it as nutrients will be lost in the water. Corn cooked in the husk will retain the most nutrients overall. If you have no time for prep, canned corn can be as nutritious as fresh corn. The canning process reduces the vitamin C content, however it does not alter the phytonutrients with some even becoming more potent. Studies show that during the process of canning, the heat applied transforms certain phytonutrients into more active forms, making them easier to absorb. This may explain why canned corn has higher carotenoid content than fresh corn. There has been no concerted effort to improve garlic for conventional farming and selling practices, therefore it contains most of its wild nutrients and anything you come across at the store is a great find. Look for garlic with plump, firm cloves with a tight outer wrapper. Optimizing the nutrients of garlic is dependent on how you prepare it. To get the full benefit of garlic it is best to chop, crush or use a garlic press, then let the garlic rest for 5-10 minutes before use. Different enzymatic reactions occur when garlic is prepared this way allowing for the powerful compound called allicin to have it’s full effect. Allicin has been found to have health promoting effects on atherosclerosis, diabetes, high blood pressure and high cholesterol. Kale is one of the few vegetables that exceed the nutritional values of some wild greens. Red-leaved varieties have a higher antioxidant value than green-leaves. For those who are prone to kidneys or gallstones, the variety known as “Dino Kale” or Lacinato Kale are lower in oxalates. The most nutritious lettuce greens aren’t green, but red, purple, or reddish brown and then dark green — the deeper the hue the higher the phytonutrient content. As soon as you get home, separate the individual leaves, rinse and then soak them for about 10 minutes in very cold water. In addition to increasing the internal moisture of the greens which allows them to remain crisp longer, the cold water will reduce their temperature, slowing the aging process. Next, it is important to dry them, with a dry paper towel or salad spinner, as any moisture left on the surface will hasten their decay. Store in a plastic bag with 10-20 tiny prick holes, then place in the crisper drawer. If you tear your greens into bite-sized pieces it will increase the antioxidant content, however if you do this make sure to eat it within a day or two. Whole heads of greens are always fresher than bagged greens, this goes for all varieties. The longer the leaves stay in a bag the greater the reduction in antioxidants. If you do buy greens in a bag, look for mixtures that contain both red and dark green varieties. Be sure to check the “use-by” date and reject anything that has yellow, brown or withered leaves. The more strongly flavored the onion, the better for your health. The most colorful potatoes with the darkest skin and flesh — blue, purple, and red — will give you more antioxidants than yellow potatoes. However, the Russet Burbank potato is still a good choice as it is higher in phytonutrients than most white potatoes. Store your potatoes in a cool dark place with plenty of ventilation. New potatoes can be stored in the refrigerator for a week or two but after than find a cool dark storage area with a temperature between 45-50° to prolong nutritional life of the potato. Ounce for ounce shallots have six times more phytonutrients than the typical onion. Bunches are fresher than bagged leaves. Spinach that’s been in a bag for only one week has just half the antioxidant benefits of freshly harvested. Mid-sized leaves have more phytonutrients than baby spinach or large spinach leaves. Compared to Spinach, Dandelion Greens have eight times more antioxidants, twice the calcium, three times the vitamin A and five times more vitamin K and E. Try mixing in Dandelion Greens to your next salad, just be careful as adding too much can make the salad a little too bitter for some. If this is the case add come acid from balsamic vinegar or fresh squeezed lemon. Sweet potatoes are higher in antioxidants than regular potatoes. The most nutritious varieties have purple and dark orange flesh, but remember you still need to consume the skin for the full benefits. Avoid storing sweet potatoes in the refrigerator as they can develop a distinctly “off” flavor. Like normal potatoes, store sweet potatoes in a cool dark location. Choose tomatoes that are deep red in color, they will have more antioxidants than yellow, gold or green tomatoes. Size is equally as important as color, when selecting tomatoes. Small, dark red tomatoes are sweeter and more flavorful as well as having the most lycopene — the phytonutrient that gives tomatoes their red color and has been show to have benefical effect on the heart, blood pressure, osteoporosis and skin — per ounce. The red-colored cherry, grape and currant varieties are the most flavorful and carry the highest amount of lycopene. Additionally, smaller tomatoes will have more vitamin C than their heftier relatives. Storing tomatoes in the refrigerator is not a good idea because when the internal temperature drops below 50°, it stops producing and exacerbates the loss of flavor and aromatic compounds. The longer the duration of refrigeration will make the tomatoes increasing less sweet and more bitter. Store at room temperature to preserve taste. The longer you cook tomatoes the more health benefits you get. The heat breaks down cell walls and transforming nutrient compounds making them more available and easier to absorb. Just 30 minutes of cooking can double the lycopene content. As such, canned tomatoes are the most nutritious sources of lycopene, due to the heat required in the canning process. Canned tomatoes are also more flavorful than what you would find in the produce section because they are picked when ripe and then processed immediately. Therefore, no flavor is lost along the way. Tomato paste is the most concentrated source of lycopene you can find, with up to 10x more than a raw tomato. If you like this please let me know and I will put a more comprehensive guide together by including fruit! Not all collagen is considered equal. Supplementation sources can vary from porcine, bovine or marine — all variations in quality and molecular weight can affect absorption and efficacy. Collagen is broken down in the digestive tract, whereafter it enters the bloodstream and accumulates in various tissues depending on it's molecular weight. For superior absorption, a collagen supplement with low molecular weight is key. Collagen is the most abundant protein in the human body, making it the most prevalent structural material in the human body after water. This is important when we understand that collagen is a necessary component for building beautiful skin. As much as 75% of the extracellular matrix is comprised of collagen. In a recent research review the efficacy of collagen supplementation was tested for dermatological applications. The researchers looked at 8 studies using collagen hydrolysate (which has a low molecular weight) at doses ranging from 2.5-10 grams per day for a period of 6-24 weeks. These studies found a reduction of wrinkle volume, improved skin elasticity, increased skin moisture and a significant reduction in the degree of cellulite. Additionally, The use of collagen has also expanded into treating such dermatological conditions as atopic and allergic contact dermatitis. The aforementioned review also looked at one 12-week study that sought to examine the effect of collagen supplementation with atopic dermatitis with a dose of 3.9 grams a day. Those who supplemented with collagen saw a significant decrease in immune response and inflammation after 12 weeks. Severity of skin eruption areas, skin hydration and itchiness were all reduced with collagen supplementation. Collagen is effective in supporting various dermatological conditions such as wound healing, skin elasticity, and suppleness. Other applications for collagen supplementation include osteoarthritis, osteoporosis, improving blood pressure and insulin resistance. As with all things, quality is important. It is necessary to use a high-quality collagen supplement that is supported by clinical research and is of a low molecular weight in order to optimize absorption and intended results. Diet coupled with weight training works better for weight loss. When you go on a diet to lose weight, do you know what you are losing? You lose some fat, but you’re actually losing more muscle unless you lift weights while you’re dieting in order to prevent muscle loss. Maintaining, and even adding muscle, is beneficial for weight loss because it improves your body’s ability to use incoming calories to fuel muscle instead of being stored as fat. Our body seeks balance in order to maintain our current weight. Therefore, a reduction in calories in an effort to lose weight will be unsuccessful as energy expenditure is reduced to meet the decreased energy intake. On a caloric deficit you will, at the onset begin to lose subcutaneous fat (the fat underneath the skin), however in a primal effort to save you from starvation, your body’s leptin (fullness hormone) levels will fall. This will create an overpowering sensation to reduce the activity of your metabolism and find something to eat. This is often why starvation diets do not work for very long—the body is looking to restore weight balance. Evolutionarily, the metabolism of fat and carbohydrates developed separately. We possess the ability to thrive on diets at opposite ends of the spectrum. The hunters ate fat, whereby the liver would beta-oxidize (the process by which fatty acids are broken down by the mitochondria) what it needed for its use and would then export any excess LDL to be taken up by the adipose tissue. Conversely, the gatherers ate carbohydrates (glucose) and upon absorption, the liver would extract what it needed. Insulin would clear the rest out of the bloodstream and drive it into the muscle for energy or adipose tissue for energy storage. Each system worked for the energy that came in, but when our modern diet combines these it is easy to get a caloric surplus. Our entire society likes to consume both fats and carbohydrates at the same meal, for no other reason than it tastes good. Who doesn’t like steak and potatoes?! As food became more readily available, we began to overload both sides of our metabolic pathways with the breakdown of fat and the glycolysis of carbohydrates in the same meal. Both of these metabolic processes convert the food we eat into fuel for our mitochondria—the furnace that drives our metabolism—in the form of the compound acetyl-CoA. Our hypercaloric diet is wreaking havoc on the mitochondria as fuel is pouring in from both direction too fast to process efficiently. A single high-fat, high-carb meal is no problem but to keep this up for ten thousand meals in a row is most likely the cause of your creeping weight gain. Alter your environment for systemic change. The environment is what drives biochemistry—the hormones of insulin, ghrelin, PYY and cortisol—therefore, if you want to affect your weight you have to change the environment. a. Get your insulin down to reduce your body fat and improve leptin resistance. You can do this by lifting weights to increase muscle mass, as well as by consuming whole foods that contain fiber. b. Get your ghrelin down to reduce hunger. Start the day with a high protein (e.g., grass-fed meats) and fat (e.g., nuts or avocados) meal. This will reduce ghrelin and stabilize your blood sugar more than a meal consisting of high carbohydrates, so you will feel satiated longer and burn more calories just sitting. The protein has a higher thermic effect, than carbohydrates, which means that the body uses more energy to metabolize the protein we consume. c. Get the PYY up to hasten your satiety. Putting food in our stomach lowers your ghrelin but doesn’t stop you from eating more. The signal for satiety, or the switch to turn off the meal is Peptide YY. Between the stomach and the PYY cells are a lengthy twenty-two feet of intestine. It takes time for the food to get there, so instead of shoveling the food down, practice patience. If you are still hungry at the end of the meal try waiting 20 minutes before going for seconds. d. Get the stress down, to reduce your cortisol. Cortisol is your short-term friend by your long-term enemy. A stressful environment liberates stored glycogen, which in turn raises blood sugar that begins the cascade of insulin and eventual insulin resistance. Any bit of exercise will have a beneficial affect on your cortisol levels. The more of this story is that, there is way more to process of gaining and losing weight than those weight loss commercials would have you believe. If it were that easy, we would all be famous instagram models, however it is not. So don't beat yourself up if you haven't found the right process to get you where you want to be. It is out there and I'd be happy to help. It hard to know where to start when it comes to bettering your health, but step one is always going to be about improving your nutritional habits. Take a look at the following questions to get an idea of where you should start. Question #1: Where do I start when trying to improve my nutrition? The first thing people often do is choose a diet they have be researching or one that their friend recommends, but jumping into any diet is not always the best choice. Food provides the body with energy, as well as information, and if you completely change what you are consuming chances are you are going to have a hard time adapting. Headaches, digestive issues and wild cravings are generally the mainstay of radical changes in diet. So instead of jumping on the Paleo, Ornish, low-fat, Mediterranean or vegetarian bandwagon, first address the issue of eliminating nutritional deficiencies. 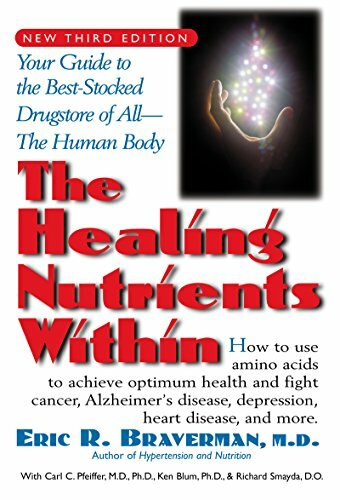 Most people will be surprised to find out that they, in fact, have any deficiencies at all, but the research shows that more than 80% of the population has at least one. And who knows, the very reason you have sought out to read this article – weight gain, sleep disturbance, digestive issues, etc. -- could be rectified with a simple adjustment of your diet, without rushing into a full overhaul. Drinking more water. Try adding a cucumber or lime slice for some flavor. Establishing optimal eating habits are done one step at a time. By making small changes over time you are positively altering your environment, ultimately creating a lifestyle change that is much better than any crash diet you can subscribe to. Question #2: What’s the Best Diet to Follow? There really is no “best diet.” What works best for one person, is probably not going to work for another. 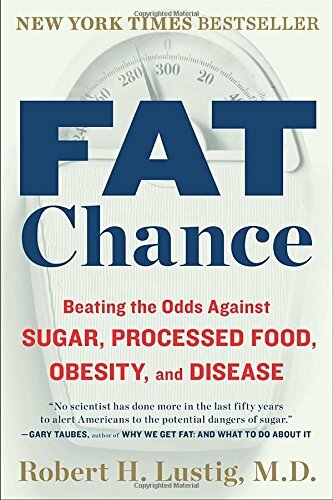 Those who have found success with a low-fat/high-carb diet (Jenny Craig) would probably find success with the equally restrictive high-fat/low-carb diet (Atkins). Macronutrient (carbohydrate/fat/protein) restrictive diets work well for weight-loss because they limit one of the body’s main sources of fuel — fat or carbohydrate. However, due to their intensive restrictions, when the majority of start to slip with temptation they tend to slip all the way off the diet and regain the weight. A better way to ask the question would be; “What is the right nutritional approach that will create a positive long-term, systemic change in my life?” It is definitely a much harder question to answer correctly, which is why it is often not asked. As stated in question one, making small nutritional changes can have that positive affect and allow for insight as to what makes your body work more efficiently. The caveat to that is we all have limitations, whether they be financial or health related that will need to factor in to your nutritional choices. In the end, the best diet is one that is going to allow the individual to thrive in every endeavor. Question #3: Is Counting Calories Important for Weight Loss? No, counting calories is not something you should spend your time on when it comes to weight loss. Eating should be enjoyable, not reduced down to a math problem. When we choose to count calories with the intention of losing weight, the general approach is to take in less calories than we’re used to. Calories-in, calories-out right? Well, it’s not that simple as energy expenditure would be reduced to meet the decreased energy intake. So a calorie is not really a calorie because your caloric output is controlled by your body and is dependent on the quantity and quality of the calories ingested. Question #4: Should I Avoid Carbs? Avoiding carbs is not necessary for weight management, nor achieving optimal health. However, if the majority of your dietary carbs come from a box – pastas, cereals, donuts, pizza – it would be best to reevaluate your choices in order to reach your goal. The quality of your carbohydrates is important in terms of nutritional content and the toll it play on our body. When we eat a food containing carbohydrates, the digestive system will break them down into sugar allowing it to enter the blood. This causes our blood sugar to rise and in response the pancreas secretes insulin – a hormone that shuttles sugar out of the blood and into the cells to be stored at energy. When this happens we blunt our ability to burn fat and instead use the easily accessible energy within our blood. Sugar is the biggest offender especially if it enters the blood stream as glucose, which doesn’t need to be broken down by enzymes, so it’s absorbed immediately. Starch can be in the same boat when it comes to raising blood sugar, sometimes worse if it's in the form of gluten-containing, nutrient-depleted grains (e.g., pastas, cereals, donuts, pizza). So where does that leave us? Low Starch Vegetables such as baby corn, jicama, kohlrabi, rutabaga, water chestnuts, cauliflower, mushrooms, onions, turnips, green beans, cucumber, bean sprouts, Brussels sprouts, asparagus, artichokes, okra, zucchini, green peppers all have a high ratio of fiber and nutrients compared to the content of carbs present. Moderate Starch Veggies like sweet potatoes, beets, or carrots are still reasonable but it is wise to watch the serving sizes. Low-Sugar/Low-Fructose Fruits such as Kiwifruit, Blueberries and raspberries, Grapefruit/lemons/limes, melons, pears with skin, and coconuts are decent choices that have their place in a season context, however avoiding fructose altogether is likely a safe bet for most people especially those who are obese. Gluten-free grains are acceptable for people who have the genetic ability to process carbs, but grains often irritate the digestive system as well as blood sugar control mechanisms for a significant amount of people. In this presentation Dr Christopher J Bump discusses the value of magnesium supplementation for those individuals who experience anxiety, poor quality of sleep and acute joint pain. Magnesium is critical to muscle relaxation, energy metabolism and protein synthesis and in the US over 55% of adults are deficient in magnesium.